The new home Leopard’s leap Wines in Franschhoek is rapidly near completion with the interior fittings and furniture in place. 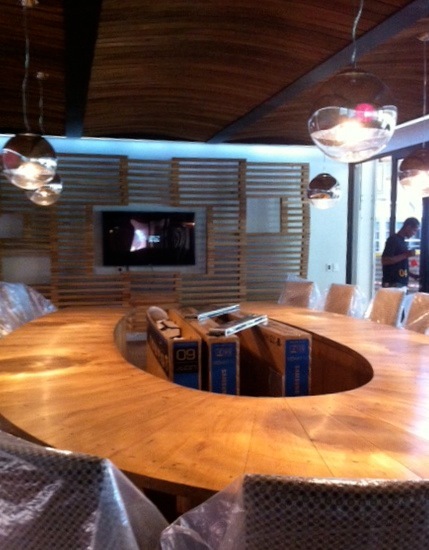 In the photo above the chairs in the private tasting room sit around the beautiful horseshoe table. Leopard’s Leap will be sharing the premise at Leopard’s Leap Vineyards with Liam Tomlin Food’s culinary studio and chefs retail store. Already this exceptional pairing is exciting food and wine lovers and we look forwards to welcoming all to Leopard’s Leap Vineyards.